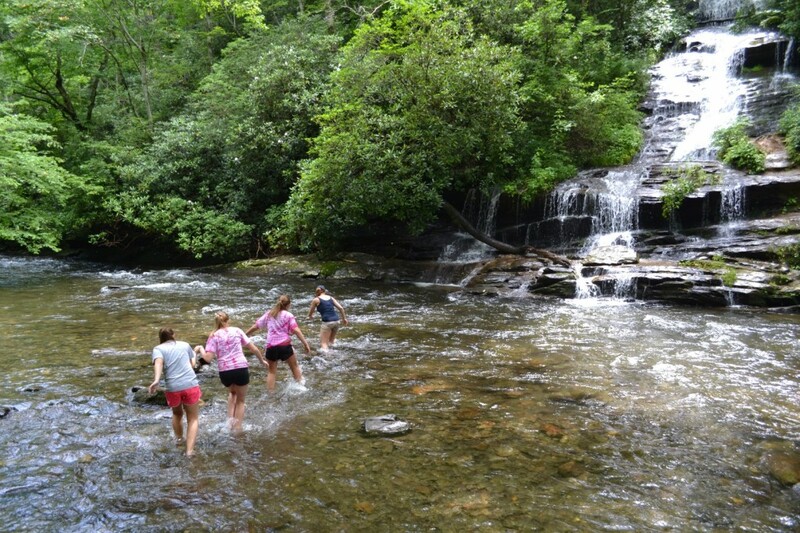 On our last trip to Tennessee, we went hiking – as usual. We decided to take an easy hike this time, but still wanted to see some waterfalls. We came across this beautiful waterfall. Doesn’t the river look calm? 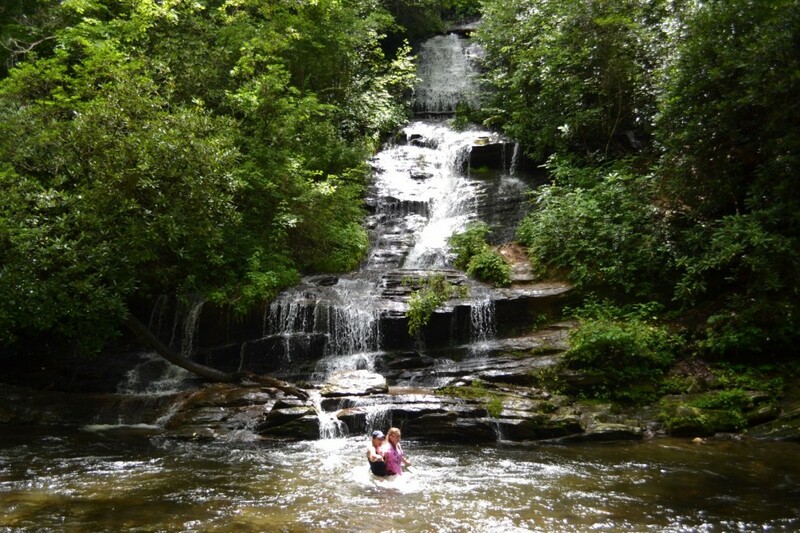 My dad had a great idea – as usual – to make it across the river and stand up in the waterfall to take a picture. I took a look and didn’t think the river looked very deep or strong and thought it would be doable! 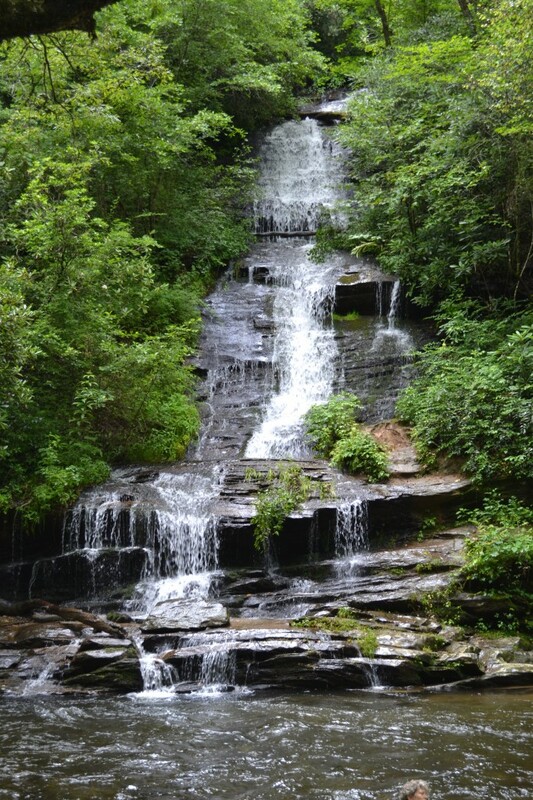 Mind you… I’ve played in a few creeks in my life, hiked through miles of water, and climbed up who knows how many waterfalls. Not that I’m an expert, but I’ve crossed small rivers before. 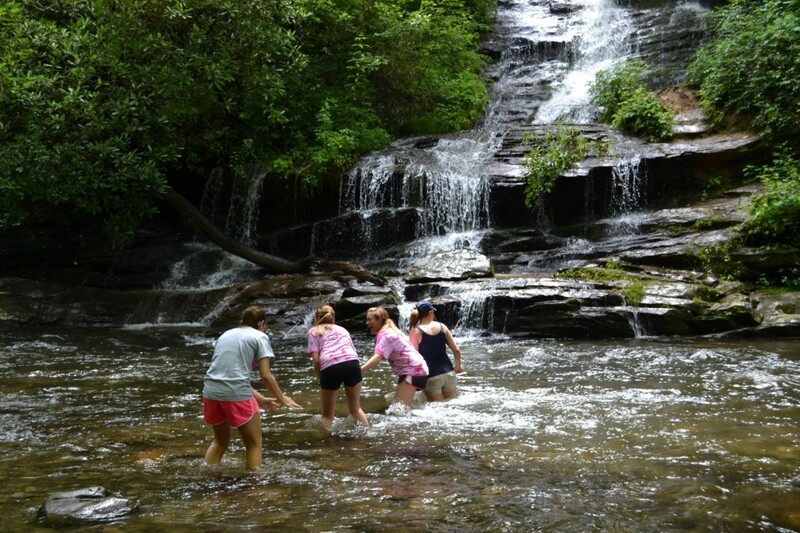 We took off our shoes and socks and set out to cross the river and take a pretty picture in the waterfall. No big deal! The water wasn’t even up to my knees yet and the water was freezing! No big deal! We kept going! I found the drop off! Now, it was really cold and my shorts were wet. Didn’t plan on that! Still kept going. You see in the video that my sister, Elizabeth and I were really fighting just to stand up! The current of the river plus the waterfall was pushing us everywhere! It was beating us up. We were freezing. It was hard to hold up my sister. I pictured her falling and floating down the river. It was scary. We bailed. We sat on the bank a little while and thought, we’re already wet. Lets try it again! Nope! Not that time either! The waterfall won. I felt defeated. I really thought we would make it. Maybe it’s the fact I have 3 kids to raise. Maybe I’m older and wiser. Maybe I’ve seen too many stories on the news. I didn’t try to cross for the 3rd time. I was ok with the waterfall winning! The teenage me would have tried until I made it! Oh well! It was a blast and I’m glad I tried, but I know my limitations. I’m just not crazy anymore. I don’t need to win every challenge. I was once again humbled. I have bruises and I was sore! It was a good fight!